Exciting News!! Here at FMBs Therapy Systems we are again looking to support two chosen riders in their 2019 competitive campaigns!! Whether you are a weekend rider looking to improve your results, a dressage enthusiast, an up and coming event rider, show jumper or showing star, the application is open to all! We are offering two lucky people full sponsorship for 12 months in the form of your very own Activo-Med Pulsed Electromagnetic Therapy Rug (to learn more about the rugs and other therapy products please visit www.fmbs.co.uk). Along with this you will receive branded clothing, a baseball cap/bobble hat and a discipline specific saddle pad, plus a discount on any additional equipment you may wish to purchase or hire. All you need to do to apply is send us (in no more than 300 words) a little information about yourself and your horse(s); age, county you live in, what you do competitively with your horse(s) and your equestrian goals for next year. 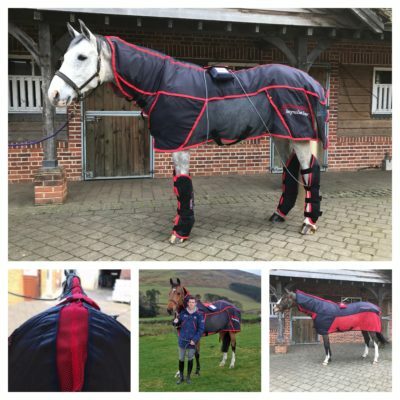 We would also like to know why you would like the use of an Activo-Med rug and why you think you would be the ideal FMBS Therapy Systems sponsored rider. Applications should be sent via email to info@fmbs.co.uk by midnight on 1st March 2019. The shortlist will be announced after 8th March 2019. Those on the shortlist will be asked to provide a video entry of why you think you should win, which will be put to the vote to finalise our winners.